Our next program starts soon! Come learn to row with DC Strokes! Get an introduction to the team sport of rowing while meeting new friends and enjoying the cityscape from a new perspective! DC Strokes offers an LGBTQ+ friendly environment and a welcoming community for all. The Learn to Row Program (LTR) is designed for people with no previous rowing experience and teaches the basics from square one. All learn to row sessions include: land training on ergometers, rowing on the water using a training barge and an eight-person rowing shell, personal attention from coaches to help you develop your form and rowing skills, and a question-and-answer session, as well as a review of lessons learned, at the conclusion of each day's class. Student-to-instructor ratios are 12 to 1 or better to ensure good interaction with coaches. If you have prior rowing experience, even if it was a while ago, you may be able to go straight to the Novice Program or even one of our more advanced programs. Please contact us at learntorow@dcstrokes.org or membership@dcstrokes.org prior to registering for LTR. DC Strokes offers rowing programs for all levels and interests. 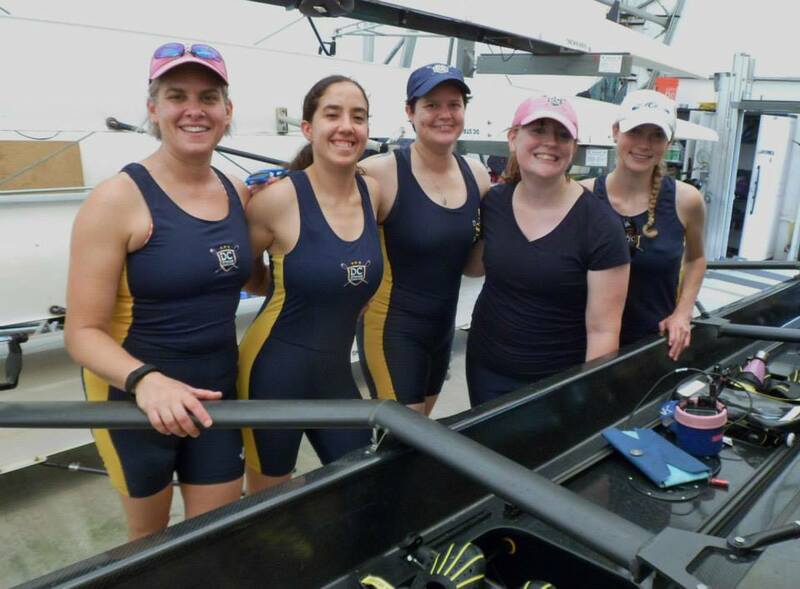 Rowers who complete LTR are invited to join the Novice Program, which offers opportunities to continue developing rowing skill, build fitness and strength, and try racing at a couple of local regattas. Learn the basics of rowing in this condensed two-week course. Sessions run either Saturday + Sunday mornings (9 am - noon), Saturday + Sunday afternoons (1 - 4 pm), or Monday through Thursday (evenings) 6:15 - 8 pm. After completing Part I you will transition to rowing with the Novice Program. Your first two weeks of Novice are included in your Learn to Row registration. Classes are held Monday to Thursday, from 6:15-8:00pm. At this conclusion of the 2 week period, you will be able to officially join the Novice Program. Payable by personal check, credit or debit card. Interested in becoming a sponsor of DC Strokes?